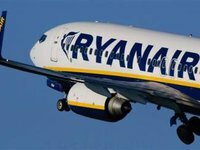 Ireland's low-cost airline Ryanair plans to invest $1.5 billion in Ukraine in three or five years, expanding its fleet to 15 planes and passenger traffic to 5 million people, Ryanair Chief Commercial Officer David O'Brien said at a meeting with Ukrainian President Petro Poroshenko in Kyiv on Tuesday. O'Brien also said that now the main problem related to the increase in the number of flights of the airline to Ukraine is the protective policy of the European Union (EU) from Germany, France, Italy and Belgium. He said that as soon as this obstacle is overcome, the airline will increase the number of flights from/to Ukraine.